Many times DBA's have to rename / copy complete users/schemas from the current name to a new name within one database. 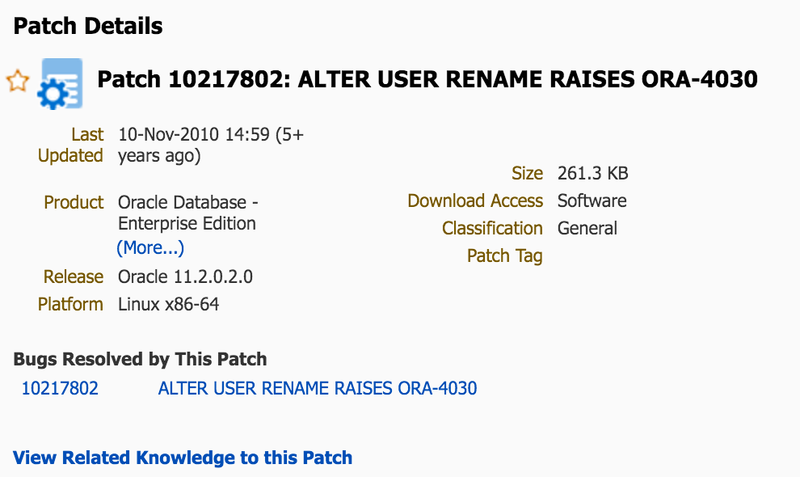 Since several years DBA's are asking for a simple method inside Oracle to execute something like "ALTER USER RENAME". 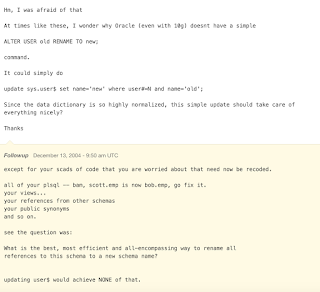 For the option "IMPD with REMAP_SCHEMA", its official but can be time consuming. 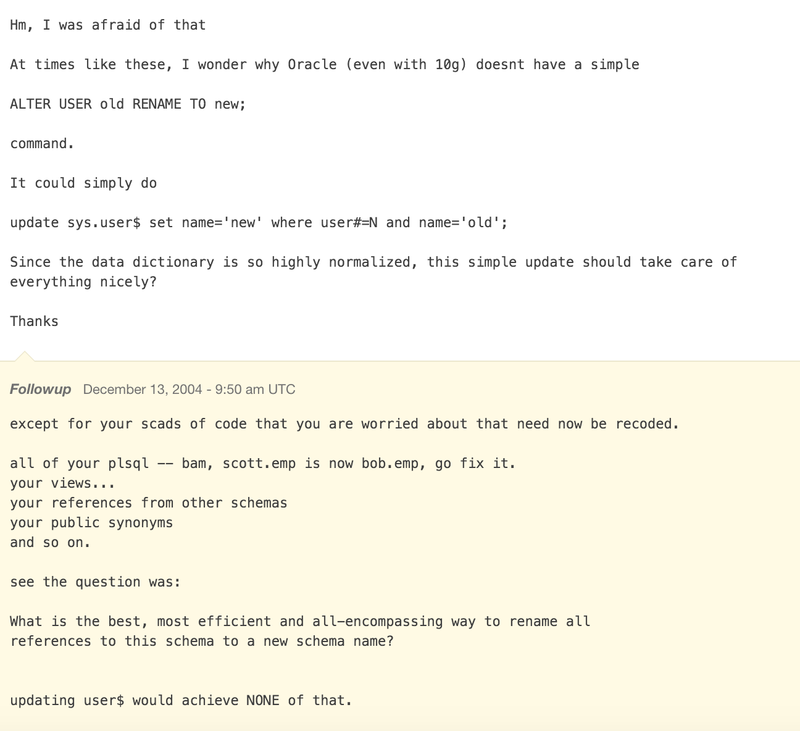 Let's say we have a user called DEMO and we want to rename this user to DEMO_NEW. The user DEMO got tables, views and functions. 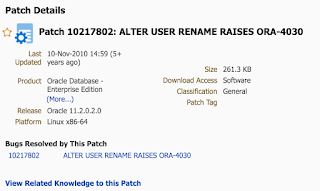 The ALTER USER RENAME works from Oracle 11.2.0.2.0 going, my above test case was done with Oracle 12.1.0.2.0. So why is this option with ALTER USER RENAME "half official"? The question now is why Oracle doesn't make this cool feature official? If anybody finds more limitation while testing this cool feature, just drop me message here. But remember, DON'T DO THIS IN PRODUCTION !! Its not an official option, there might be some serious kickback effects. Did you forget your WebLogic Admin User password?